Designs by Lisa Somerville: KSS Monday - Howdy! Happy Kitchen Sink Stamps Monday! 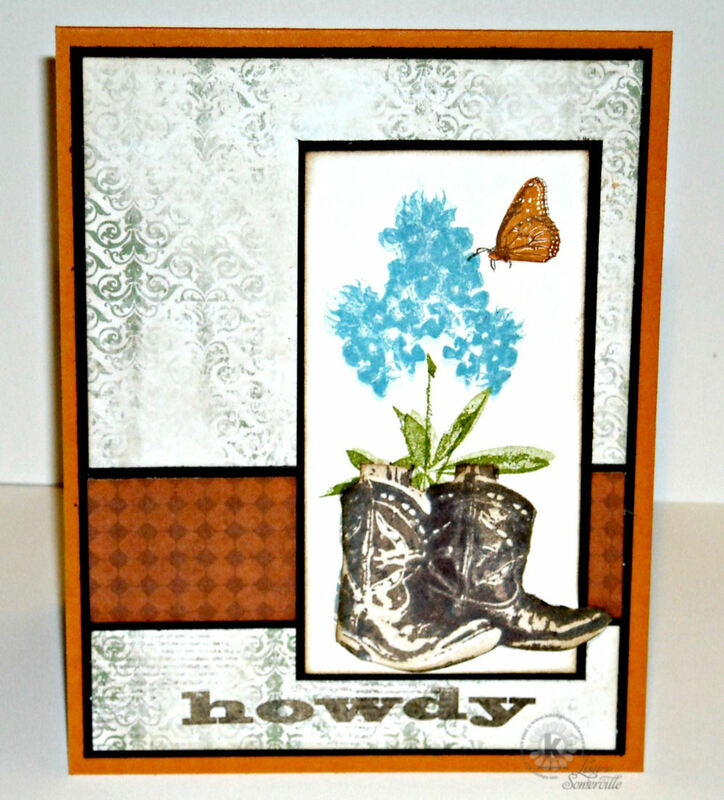 This week I created my card using Kitchen Stamps Multi Step Cowboy Boots and Multi Step Bluebonnets stamp sets, along with pattern paper from the Bo Bunny Mama Razzi 2 collection. Fabulous papers with your gorgeous out-of-the-box boots!! Love this beautiful card, Lisa!